Plants: annual, glabrous; taproot 2-10 cm. Stems prostrate, succulent; trichomes at nodes and in inflorescence absent or inconspicuous; branches to 56 cm. Leaf Blades: obovate or spatulate, flattened, 4-28 × 2-13 mm, apex round to retuse or nearly truncate; involucrelike leaves 1-4. Flowers: 3-10 mm diam. ; petals yellow, oblong, 3-4.6 × 1.8-3 mm; stamens 6-12(-20); stigmas 3-6. Capsules: ovoid, 4-9 mm diam. 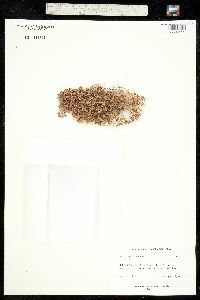 Seeds: black or dark brown, orbiculate or elongate, flattened, 0.6-1.1 mm; surface cells ± smooth, granular, or stellate, with rounded tubercles. 2n = 18, 36, 54. Flowering late spring-early fall. Fields, waste places; 0-2800 m; introduced; Alta., B.C., Man., N.B., N.S., Ont., P.E.I., Que., Sask. ; Ala., Ariz., Ark., Calif., Colo., Conn., Del., D.C., Fla., Ga., Idaho, Ill., Ind., Iowa, Kans., Ky., La., Maine, Md., Mass., Mich., Minn., Miss., Mo., Mont., Nebr., Nev., N.H., N.J., N.Mex., N.Y., N.C., N.Dak., Ohio, Okla., Oreg., Pa., R.I., S.C., S.Dak., Tenn., Tex., Utah, Vt., Va., Wash., W.Va., Wis., Wyo. ; Europe A. P. Simopoulos and N. Salem Jr. (1986) and A. P. Simopoulos et al. (1992) have shown Portulaca oleracea to have the highest content of omega-3 fatty acids and antioxidants of any green leafy vegetable examined to date, suggesting that common purslane should be considered for its nutritional value and not for its weediness. It has long been used as fodder and may have been present in the New World in pre-Columbian times (R. Byrne and J. H. McAndrews 1975). Currently, it is fed to poultry to reduce egg cholesterol. General Notes: Portulaca oleracea is a highly variable species with worldwide distribution in temperate to warm regions and is the most winter-hardy of all the portulacas. It is a very aggressive weed, one of the ten most noxious weeds worldwide (J. S. Singh and K. P. Singh 1967). As such, many variants have been named (C. D. Legrand 1962) based on seed surface differences, size of seeds, or on variable characters of growth habit, leaf length, and number of stamens. Seven subspecies were recognized by A. Danin et al. (1978): subsp. oleracea, subsp. impolita Danin & H. G. Baker, subsp. granulatostellulata Danin & H. G. Baker, subsp. nicaraguensis Danin & H. G. Baker, subsp. nitida Danin & H. G. Baker, subsp. papillatostellulata Danin & H. G. Baker, and subsp. stellata Danin & H. G. Baker. PLANT: Annual herbs from a taproot. STEMS: prostrate to somewhat ascending with radially spreading branches, 4-25 cm long or more often reddish, glabrous. LEAVES: alternate, flat, ovate-cuneate or spatulate, 10-17 mm long, 5-12 mm wide; nodes with a few inconspicuous hairs in the axils. INFLORESCENCE: glabrous or with a few inconspicuous hairs; involucral leaves 1-4, 6-20 mm long, 2-8 mm wide. FLOWERS: solitary or clustered at the ends of branches; petals yellowish, 2-5 mm long; stigmatic branches 3-6. CAPSULE: 2-6 mm in diameter; slightly stipitate. SEEDS: black, finely granulate, stellate, or rounded-tuberculate. NOTES: Disturbed areas, especially roadsides: reported from all AZ cos. except LaPaz; 450 - 2400 m (1400 - 7800 ft); Jun-Oct. Introduced. Worldwide in temperate to warm regions; throughout the U.S. (including AK) and Canada. Young leaves and stems edible raw or cooked. 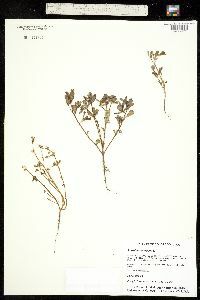 Portulaca retusa has been previously recognized as a separate species, based on seed morphological characteristics, growth habit, sepal shape, and number of stigmatic branches (Correll & Johnston 1970, W.B. McDougall 1973, Martin & Hutchins 2001, Kearney & Peebles 1960, Welsh et. al. 2003). 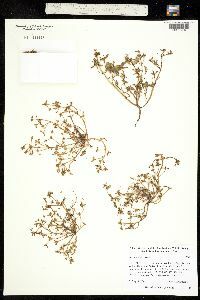 Positive identification from herbarium specimens is only possible with mature seeds (roundedtuberculate vs. sharply echinate or stellate in P. retusa). Intergradation of seed morphological characteristics between the two species has also been observed. Other characteristics such as growth habit, sepal shape, and number of style lobes, previously thought to distinguish P. retusa from P. oleracea, have been found highly variable (Correll & Johnston 1970, Martin & Hutchins 2001, Kearney & Peebles 1960, Welsh et. al. 2003, W.B. McDougall 1973). More work, especially with fresh intact specimens, is needed to substantiate recognition of P. retusa at the specific level. REFERENCES: Allison Bair, Marissa Howe, Daniela Roth, Robin Taylor, Tina Ayers, and Robert W. Kiger., 2006, Vascular Plants of Arizona: Portulacaceae. CANOTIA 2(1): 1-22. This plant was formerly a common and annoying weed in gardens and cornfields. It has been reported from all parts of the state and all authors who report it mention its weedy nature. I recall that when I was a boy 60 years ago we pulled it by the bushel and fed it to the hogs. At the present time it is rare and I very seldom see a specimen any more, although I admit that I rarely botanize gardens or cornfields. I am not able to explain its disappearance but I do not think that clean cultivation is responsible for its scarcity. Stem prostrate, usually purplish-red, glabrous, repeatedly branched, forming large mats, edible when young; lvs edible, succulent but flat, spatulate to obovate-cuneate, 1-3 cm, commonly rounded at the summit, the cauline alternate or occasionally opposite; fls solitary or in small terminal glomerules, sessile, self-compatible, yellow, 5-10 mm wide; sep ±acute; stamens mostly 6-10; style-branches 4-6; seeds with low, blunt tubercles, requiring light for germination; polyploid series on x=9. A cosmopolitan weed, probably originally native to s. Asia. All summer.